A powerful and reliable WiFi network is no longer desirable, it is an absolute imperative in the modern classroom environment. Schools today need to be able to deploy a reliable wireless infrastructure to accommodate a variety of applications, such as laptops, video surveillance, tablet computers, mobile phones, back-office applications and even things such as the school heating, ventilation and air conditioning (HVAC) system. If your school’s WiFi network is slow, sluggish or unreliable there could be five key reasons. The design of your wireless network is of critical importance. Installers must take into account the full coverage needed, both indoors and outdoors and plan for the required coverage by placing Access Points in the right formation for maximum coverage. If your connections are weak, and ‘drop off’ regularly, if might mean that your network deployment has created ‘blind spots’ where wireless devices cannot pick up the signal. Wireless networking is becoming more and more common and therefore more wireless transmissions are being sent through the air. Signals operating at similar frequencies can cause interference with each other and have a negative effect on the performance of the network. This means that more popularly used frequency bands can get severely affected by the overcrowding of wireless signals to a point where a device will not operate at an acceptable level. Other wireless technologies can cause identical interference such as mobile phones and microwave ovens that operate within the same ranges. A expert installer, such as KBR, will recommend the right frequency for your campus to ensure minimal interference. Wireless networks allow more than one person to communicate with another network source at any one time and this sharing of connection means that the more subscribers utilising the network, the more devices the access point has to try and communicate with instantaneously. If your download or streaming speed is slow, it could be that your network is not designed to support that many devices, or clients, but this can be resolved with an upgraded WiFi network. When hundreds of wireless devices try to connect to your WiFi network at the same time, online learning can come to a stop as more clients (wireless devices) are utilising the network bandwidth. As bandwidth requirements increase on your network (video streaming is one bandwidth intensive application), you will need to invest in equipment that can cater for high throughput speeds to keep the performance and network reliability at a high level. In particular, schools or campuses that use a lot of Apple products report significant issues using ‘old’ or dated WiFi networks. For example, some of our customers have reported that up to 90% of their bandwidth becomes swallowed by the Bonjour protocol. This results in a slow network, and poor communication between devices connected through the network. Good quality network products, already have inbuilt managers which can deal with traffic from Bonjour and all other protocols. These products create a separate domain for Bonjour and other such protocols. Schools, colleges and university campuses come in all shapes and sizes. A school can be built out of anything from historic solid stone to modern light-weight materials and everything in between. Most prominently affecting indoor networks, wall construction properties can be one of the biggest inhibiters of wireless signals. Wire meshing within the walls can cripple signal transmissions and the materials used have different levels of effect; concrete is a usual suspect in badly performing indoor networks. It almost goes without saying that the thicker the walls, the less success the signal will have penetrating through it whilst maintaining a high strength. This can be avoided with a well-designed network. Whenever and wherever they are in a school building or campus, students, teachers, visitors and staff strive for uninterrupted learning. They expect a fast, seamless connection to the network that just a few short years ago could only be delivered by plugging into a wired connection. 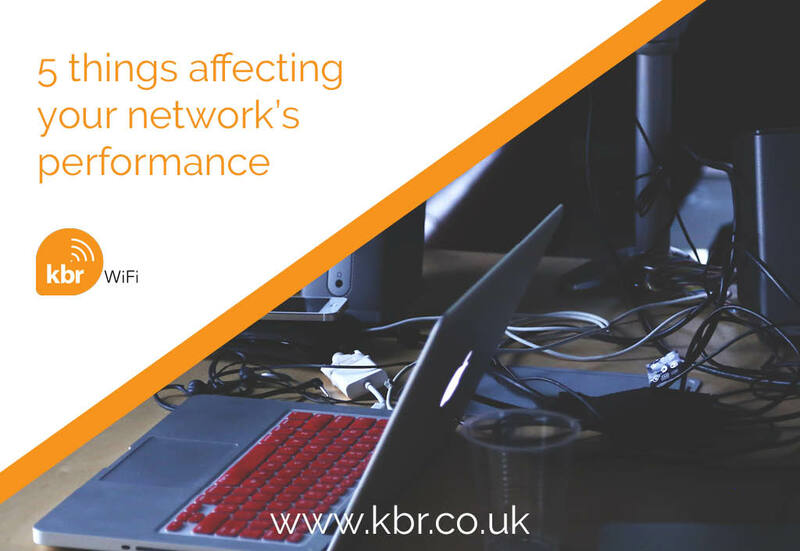 Having built wireless networks within a vast range of working environments, the KBR WiFi network design team has the skills and expertise to overcome any potential networking pitfalls. Contact KBR today for a heat map survey, and we will recommend the best possible solution for your school campus.